The SAT PK 160 is a surprise package that provides a real point of difference in the smart-phone-infrared camera genre. 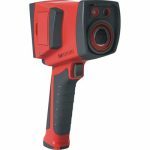 Boasting good resolution and a high level of dedicated hardware integration this thermal imager overcomes many of the limitations associated with this ultra-compact and highly portable category. 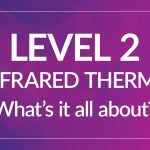 When it comes to smartphone lookalike thermal imagers FLIR wrote the rule book with the release of the C2. This revolutionary little camera changed the way people perceived thermal imagers. Often referred to as the “one that looks like an iphone”, users quickly adapted to this new style of imager and the concept of being able to always carry one in your pocket… a paradigm shift that will change the way we do predictive maintenance. 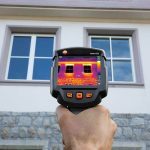 With the overwhelming success of this model, there were bound to be others to follow and we have since witnessed a plethora of thermal imagers that either resemble smart phones or bolt directly onto them. One thing they all have in common are limitations, some of them serious enough to render them practically useless for anything more than hobbyist ambitions. Many of these units are plagued with below average resolution, rapid image drift, poor image uniformity, no temperature measurement or worse still major temperature errors, frame rate fluctuations, poor ergonomics, poor battery life, resource intensive causing operating system to crash, and just generally “buggy” (causing operating system to crash). To be fair, these are typically entry level devices and resolutions are expectantly low. Despite being spruiked for commercial purposes and wetting ones appetite with the commercial possibilities most are really only suitable for hobby purposes. The SAT PK160 is a real departure from the category. From power up, the first thing I notice is this isn’t just a smartphone lookalike… it’s actually a smartphone complete with the ability to add a sim-card. Powering up with the familiar Android operating system the phone is equipped with the usual features you would expect to find on an android phone, complete with HOME and BACK buttons, applications, google apps, quick menus, Wi-Fi, Bluetooth, aeroplane mode etc. It’s a user interface that’s tried and proven and that fills me with a lot of confidence from the get go. The device is quick and perfectly responsive to the touch, exactly as I would expect my phone to be. Unlike a regular smartphone this one has been ruggedized; encased with integrated impact resistance rubber with completely sealed and covered ports. It adds some bulk and makes the unit a little oversized, but it feels great in the hand and really solid to hold. It’s also much better for big hands like mine. It gives you the confidence that this device has been designed for industrial environments and will be able to withstand the daily abuse… unlike my smartphone. Being integrated into a smartphone comes with many other benefits, including a stunning screen and visual camera. The onboard high definition camera captures 8MP images and records video as well. Data acquisition and file management is also superbly handled within the android architecture compared to a traditional thermal imager. Unlike many thermal cameras that bolt onto the smartphone, this unit is completely integrated as one complete unit. On the back side of the camera where one would normally find the visual camera, below it is a lens cap that rotates to reveal the thermal lens. I am really impressed by the fixed lens cap as many units simply use a clip on cap that is ultimately lost or separated from the unit leaving it exposed to accidental damage. It did take me a few moments to work out how to get the thermal camera fired up and it is my one main criticism of the device. You must select the SAT logo on the home screen to fire up the camera. It did take me a while to work out that it was in fact the manufacturers LOGO and that this was the thermal imager APP I needed to get the camera going. This extra step is where some of the “seamless” integration fell over for me and I would like to have seen the system boot straight into thermal camera mode. One could easily turn the device on and not realise it’s a thermal camera mistaking it for a regular android device. Once I worked it out, I got over it. It wasn’t until I showed my other colleagues that they suggested this was perhaps meant to replace my smartphone altogether and I would therefore need the phone interface as a primary, rather than a secondary function. I hadn’t even considered that and it now makes perfect sense to me as this device does have the potential to completely replace your phone. Those however attached to other technologies such as iphone etc will likely use it as a standalone thermal imager. Each to their own. With the SAT APP underway every loads impressively quick. The second reason to be impressed is with the image. The 160×120 detector produces a remarkably crisp and clear image. SATIR have opted for a more optimised 24°x32° field of view lens and it shows in the sharpness of the image. Most competitors opt for very wide angle lenses which are much cheaper to fabricate. Unfortunately lens angles at 45° and 50° massively reduce spatial resolution, which can be ill afforded on already low resolution models. Accordingly the SATIR PK-160 has a very respectable spatial resolution of 4.0 mrad. Another performance factor I noticed immediately is the excellent uniformity in the image. 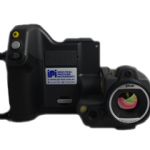 Unlike many of its competitors the SATIR PK-160 retains the use of a shutter mechanism which is far superior to the shutter-less technology making its way into the compact thermal imager market. Image drift and non-uniformity is corrected with precision against the shutter to deliver crispness and uniformity across the whole image, while maintaining temperature accuracy. 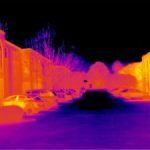 It’s not uncommon to witness other devices drift several degrees out of calibration and for the image to become perilously distorted with changes in environmental temperatures or ambient conditions. This is a great inclusion that propels this camera beyond the “hobbyist” threshold of most smart-phone-like platforms. The thermal sensitivity is a very respectable <0.08°C which is evident by the good contrast in temperature variation presented onscreen. This is more than adequate for electrical and mechanical work and would even suffice for building diagnostics. 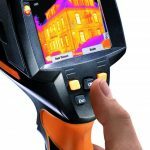 For building diagnostics I would usually prefer to be around 0.05°C, however at the price point of the SATIR PK-160, getting 0.08°C is good value and 20% better than the 0.1°C sensitivity you would usually get at this price. In a word yes, but there’s room for improvement. The user interface is certainly competent but in my opinion could do with some refinement. It has all the functions you would expect to find in a professional camera with a suite of easy to use analysis functions. There is however a strange level of organisation to the menu. At the bottom of the screen a large icon based menu is represented by 3 menu headings: Analysis; Image; File. So far so good. However another menu exists directly above this represented by a physically smaller “right arrow” icon. This expands across the screen to reveal image settings, palette selection and an image enhancement menu. To the right of this menu lies a permanent onscreen selection of transparent icons representing: play/pause; shutter activation; and rotate camera (from rear thermal to front visual). There is a distinct lack of consistency in design and function across these 3 autonomous areas and they feel very disjointed. I certainly feel it could have been grouped more intuitively and with greater visual and interactive consistency. The level and span control is not immediately obvious. I must admit my first instinct was to tap on the temperature scale on the image expecting it to be interactive. Tapping resulted in no such action, and instead I found the level and span function located under the image menu. Admittedly most entry level users don’t use manual level and span control, but hiding it or making it less accessible doesn’t encourage optimal use of a thermal imager either. I would love to see this control being more user friendly. My final criticism is that it is a little bit cluttered. Given the enormous screen size, there could have been better use of the real estate. There is a lot going on on-screen which tends to crowd the image. Emissivity, Distance, Amb Temp and Date and Time stamp are overlayed on the image and create an obstruction to the thermal image. All that said, once you are used to where everything lives it is certainly has all the functions you need and they all work as intended. The battery indicator could best be described as a countdown timer as it steadily decreases when in thermal imager mode. The specification is a bit optimistic with a 5 hour run time. I typically got around 1 minute per percentile, which puts total run time at around 100 minutes for me. This is in thermal imager mode the entire time. I would suspect that most people would keep the phone in their pocket and use it on demand which would see greatly improved battery time. SATIR got a lot right with the PK-160. 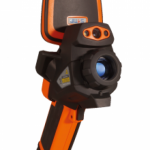 It is a league ahead of its competitors in the smart-phone-like-ultra-compact thermal imager genre. I can see the appeal for maintenance personal, electricians or building inspectors to be performing spot checks on the go. Keeping in mind this style of imager was never designed as a dedicated device to perform large scale professional surveys. For the smart-phone genre it is all about on-the-go convenience and the SATIR PK-160 certainly delivers on that front. SATIR have really upped the performance characteristics and set a new benchmark of quality in this category.